Can't wait to see it Molly! I love this. Nice work! I made a t-shirt rug for Bea's room too, but it is a large crocheted oval. did you make it recently or did i just miss seeing it at the last supper club? 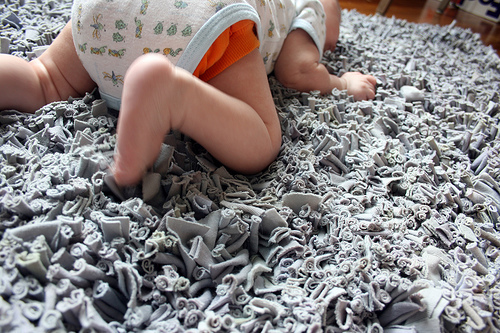 i was thinking of doing something like that for henry, he wants a new rug now as well! You'll have to come look on Sunday!